To discover the beauty of Halong bay, it is best to choose an agency who will guide your trip. If you are willing to pay a lot of money for the best trip ever, there are several luxury cruises in Halong bay. With more than 10 year experience of hosting international guests, this is always on the top list of foreigners tourists. Being the first company to provide overnight cruises on Halong Bay, Indochina Sails has set a standard for luxury cruising. Their fleet consists of four new wooden junks which are designed in traditional style with luxurious cabins and facilities. Each of their boats has spacious and well-appointed cabins, marble bathrooms, comfortable lounging furniture and elegant dining room. 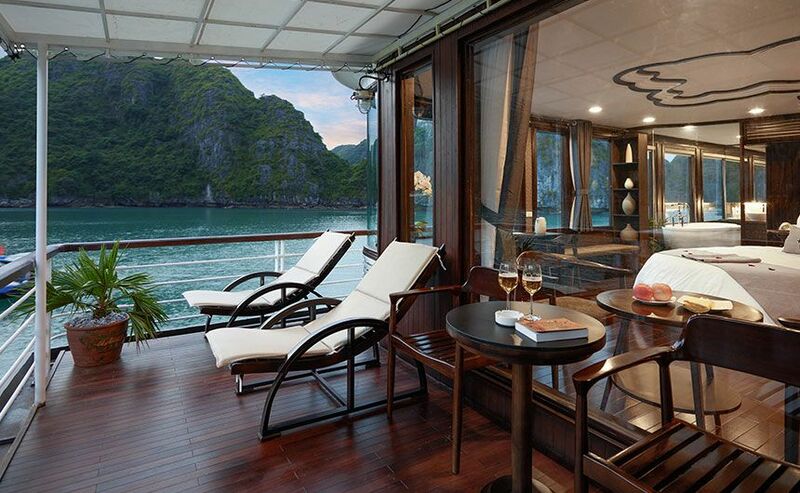 With perfect balance between modern comforts and nostalgic ambiance, this is a must-have luxury cruise in Halong bay. 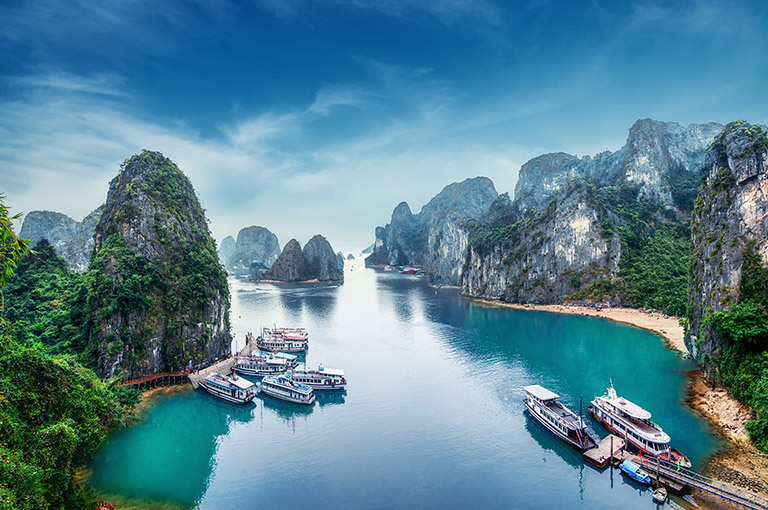 Paradise Cruise’s collection of fleets exemplified the mystery and the beauty of Halong bay, yet offers much to discover. Paradise Luxury Cruise is the first of its type in the bay. Inspired by the traditional junk boat with wooden details and a rustic touch of classical designs, it is outstanding from all the boats in the bay. 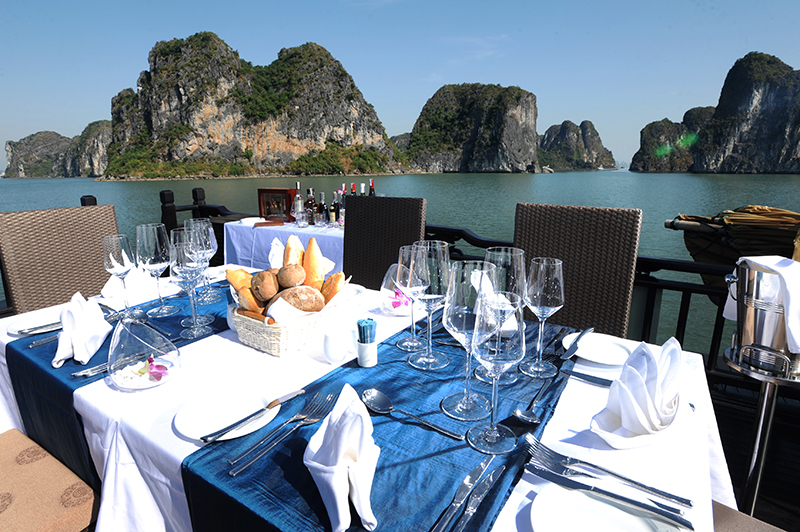 Guests can watch the spectacular views of the emerald waters and karst limestone formations in a charming space on the boat. 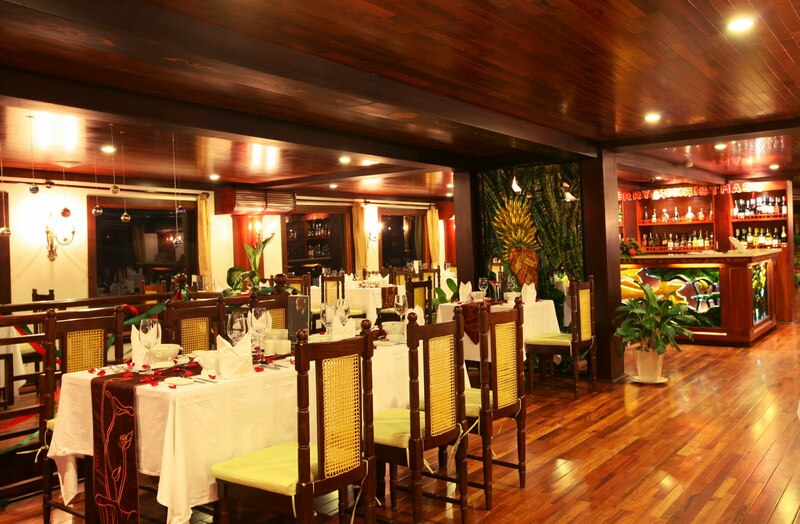 Especially, to make the guests feel like a true king and queen, it is the only Halong bay ship that offers royal banquets, indulge in a six-course meal and immense wine. 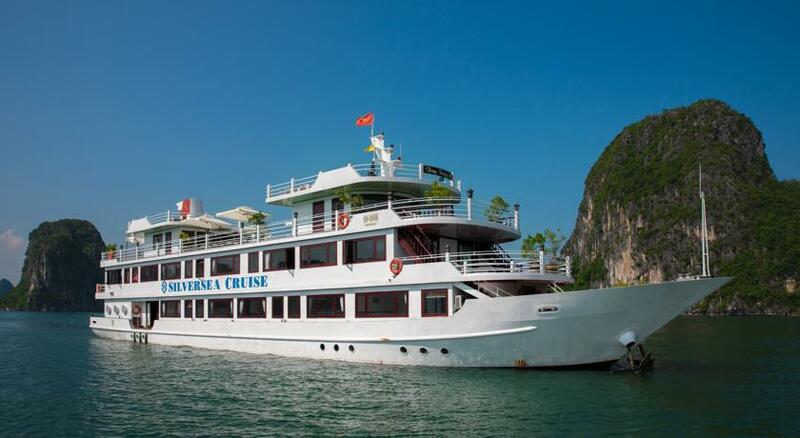 Launched in November 2015, Silver Sea Cruise is truly a serious competitor for other cruises in Halong Bay. The cruise provides you with 4 star service quality. Their strength is a nice tour itinerary which brings you a memorable cruise trip. The cabin accommodation is well-equipped like the other cruises, along with luxury service quality. This is one of the best options for those planning to visit Halong bay in a luxury tour. All of the above cruises offers different kinds of itineraries to be suitable with your plans such as 2 days/ 1 night, 3 days/ 2 nights or even 4 days/ 3 nights. The price is also various depend on your itineraries. So if you are interested in one of them, just feel free to contact them for more information. Wish you best time and moments in Halong Bay.